Bristol-Myers Squibb has said it would buy Celgene Corp for about $74 billion, creating a pharma company with several blockbuster cancer drugs and making it one of the biggest mergers on record in the sector. Bristol-Myers pioneered cancer immunotherapy with its Yervoy and later Opdivo, but has come under pressure as Merck & Co's rival treatment Keytruda moved ahead in market share inlung cancer treatment, the most lucrative oncology market. Celgene shareholders will receive one Bristol-Myers Squibb share and $50 in cash for each share held, or $102.43 per share, a premium of 53.7% to Celgene's close yesterday. Celgene shareholders will also receive one tradeable contingent value right for each share held, which will entitle them to receive a one-time potential payment of $9 in cash upon regulatory approval of ozanimod and liso-cel by 31 December 2020 and bb2121 by 31 March 2021. Last year, Celgene bought experimental cancer drug developer Juno Therapeutics for $9 billion, betting on its chimeric antigen receptor T-cell therapy, known as CAR-T.
Bristol-Myers said it expects to speed up a share repurchase programme of up to about $5 billion, subject to the closing of the transaction, market conditions and board approval. 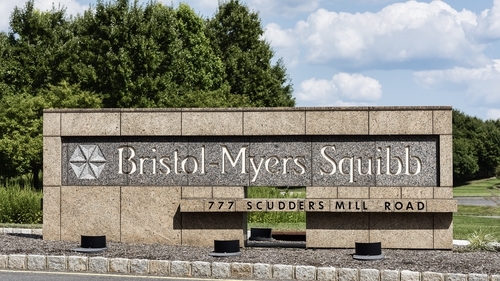 Bristol-Myers Squibb has obtained fully committed debt financing from Morgan Stanley Senior Funding and MUFG Bank. Morgan Stanley & Co is the lead financial adviser to Bristol-Myers, and Evercore and Dyal Co are its financial advisers. Kirkland & Ellis is its legal counsel. JP Morgan Securities is serving as lead financial adviser and Citi is the financial adviser to Celgene. Wachtell, Lipton, Rosen & Katz is its legal counsel.